​The Friends of the Clarksburg Library invite you to join them in celebrating their 30th Annual Wines of Clarksburg and Art Auction Fundraiser on Sunday, September 16th, from 1pm to 5pm on the grounds of the Heringer Ranch in Clarksburg. Enjoy an elegant afternoon of local food samplings from several local restaurants (Husicks Taphouse and BBQ Proper, The Firehouse, Club Pheasant, and Freeport Bar and Grill), gourmet catering, wine tastings from 20+ local wineries, live music, garden art and gourmet gift auctions, and a fine art auction featuring Sacramento and Delta artists. New this year is a hat contest for men and women, and a wine pull raffle! Proceeds from the event will benefit the Clarksburg Library, which is the only community-owned library in California. 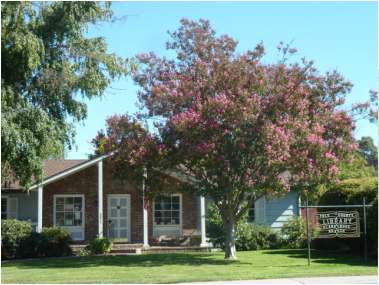 The Friends of the Clarksburg Library help make it possible for Yolo County to have a branch library in Clarksburg, because they provide and maintain the building which houses the Library. In addition, they donate money for purchasing items for the Library, which can consist of books, magazines, DVDs, CDs, and Spanish language materials. The Friends also maintain a fully-equipped activity room that they make available at a minimal charge for community meetings and functions. The Clarksburg Library is the nerve center of this community, because it provides a place for learning and enrichment. It is also a place where local residents go to access information about county activities and programs. The Friends of the Clarksburg Library is a very important and successful grassroots organization in the region, and with your support, the Friends can continue to provide this valuable service to the community.